Home / News / GRAND OPENING! Over the past few weeks we’ve been getting ready to launch, so there’s quite a few new products in stock as well as items we’re taking pre-orders for! 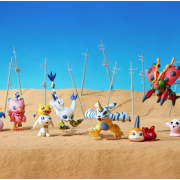 We managed to get a few items from the recent 「PIKACHU」 and 「Pikachu in the Farm」 sets released at the Pokemon Center this past weekend, so be sure to check them out! 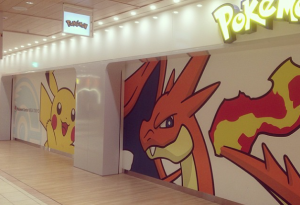 These items were especially popular- so much so that they opened early and there was stampede into the Center! 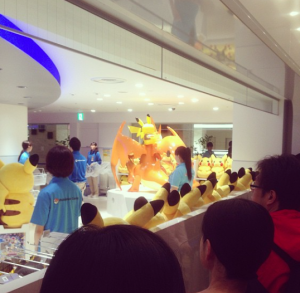 Have you heard of 「Monthly Pikachu」? 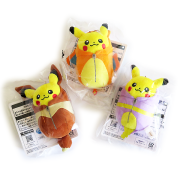 It’s a set of Pikachu plushies that are currently being released in the Pokemon Centers (and stores) across Japan! 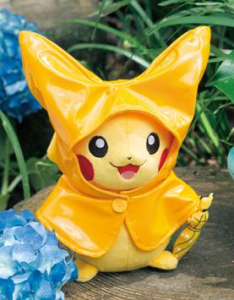 In April we saw Businesschu, May was Kid’s Day Pikachu and now for June we’re going to have a Rain-chu! He’ll be released May 16th & we are currently taking preorders to do pickups for him! 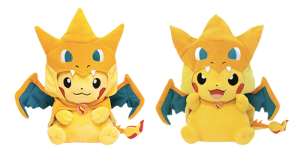 We’re currently considering expanding our plush inventory, so it’s up for you to decide! 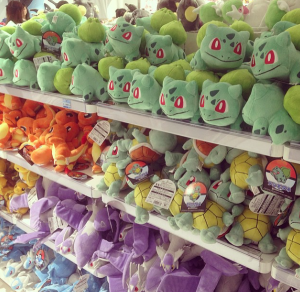 Tell us what kind of plush you’d like stocked! We have a few remaining stock from the Lawson Campaign back in February! These items were only available if you bought certain amounts of specially marked items. This campaign was so popular that I had to go to nearly a dozen Lawsons to find any stock only a few hours after it started! 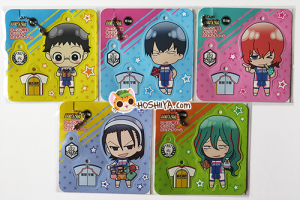 Yowamushi Pedal is currently having frequent kujis and campaigns, so there’s definitely going to be some new stock soon! 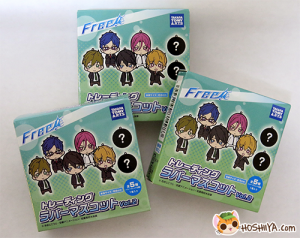 Currently we have a few Free! BL doujinshis in stock. 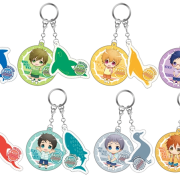 We also have some collectable rubber straps! These are just some highlights of items that we’ve stocked at launch- There’s more to explore on the aisles! Also remember to follow us on Facebook & Twitter! We’ll be offering some promotional discount codes through them in the future– as well as notifying you of new products!